Vitamin D3 (cholecalciferol) is a nutrient that is critical to many bodily functions. Vitamin D3 is beneficial for supporting bone health, immune wellness, cardiovascular function, and cellular metabolism. Extra virgin olive oil, softgel capsule (gelatine, vegetable glycerin, purified water). 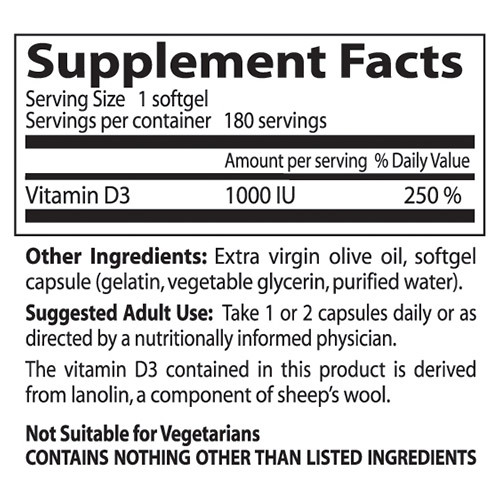 The vitamin D3 contained in this product is derived from lanolin, a component of sheep`s wool. Take one or two softgels daily or as directed by a nutritionally informed physician. 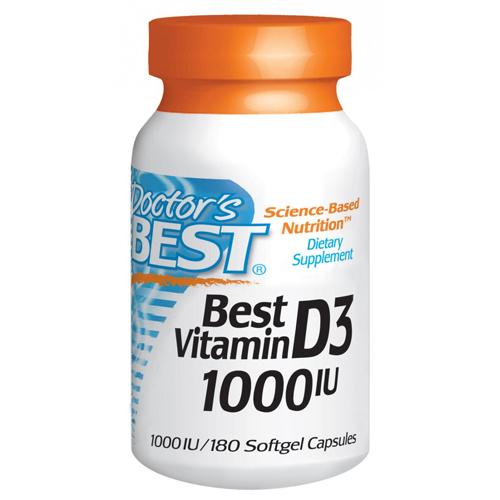 Below are reviews of Best Vitamin D3 1000iu - 180 Softgels by bodykind customers. If you have tried this product we'd love to hear what you think so please leave a review. I have been using Vitamin D3 for a while now as my blood tests were low. We are all certainly deficient of this vitamin in the winter months, so a top up is good. 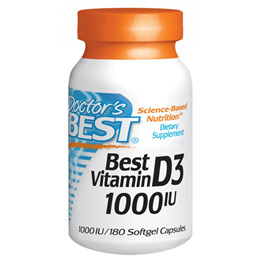 Great product, I take all year round brought my Vitamin D3 level up. All natural, I definitely recommend this one. Small capsules so easy to swallow. Absolutely fabulous in the winter months, dont over do it, take only 1 per day at max, 1-2 days a week skip the dose. 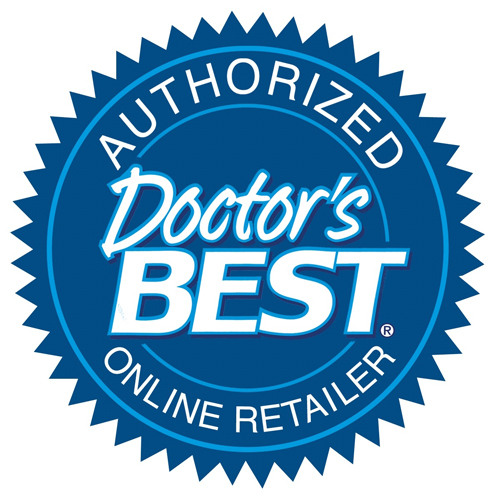 Doctors Best Best Vitamin D3 1000iu (cholecalciferol) is a nutrient that is critical to many bodily functions. Vitamin D3 is beneficial for supporting bone health, immune wellness, cardiovascular function, and cellular metabolism.